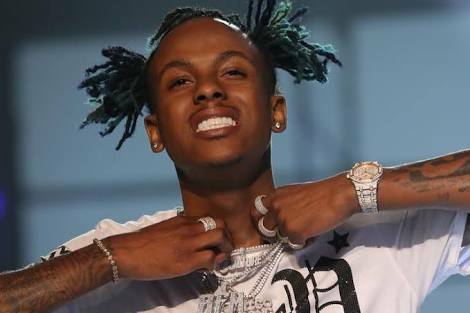 Home / entertainment / Things you need to know about "Rich the kid"
Things you need to know about "Rich the kid"
The American rapper which name goes Dimitri Leslie Roger was born in July 13, 1992) he is known professionally as Rich the Kid, he is a rapper, singer, songwriter, record producer, record executive and also a movie actor. Growing up he as always love to listen to Nas, Jay-Z, 2Pac, Notorious B.I.G. & 50 Cent, but after moving to Woodstock, he started listening to T.I. & Young Jeezy. His first rap name was Black Boy The Kid, but later changed it to Rich the Kid. He attended Elmont Memorial Junior – Senior High School in Elmont in New York. In March 2016, Rich The Kid started his own record label called Rich Forever Music.the label's first artist signed up was Chicago based Famous Dex. Roger was married to Antonette Willis and has two children with her. Lil Uzi Vert and Roger's feud started on Twitter following a highly publicized label issue Lil Uzi Vert had with DJ Drama's Generation Now imprint in January 2018.